Gangster Squad is a big, shiny, mess of a movie. It's loud, violent, and very mean spirited. This January release (red flag there) harks back to the organized crime days of 1940's Los Angeles. 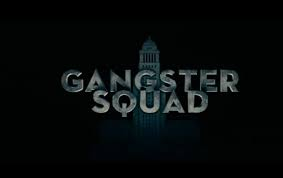 The film is loosely based (I mean that sincerely) on the story of the LAPD (Los Angeles Police Department) forming a "Gangster Squad unit" to stop crime boss Mickey Cohen (Sean Penn) from causing havoc and taking over the city. The unit is comprised of Sgt. John O'Mara (Josh Brolin), detective Coleman Harris (Anthony Mackie), and Sgt. Jerry Wooters (Ryan Gosling). Also, you got a wire tapper named Conway Keeler (Giovanni Ribisi) and Robert Patrick's character, Max Kennard. The unique thing about these guys is that they are deep undercover. They basically aren't cops anymore. They are vigilantes. That's the gist of the film and you kinda get the feeling that everyone involved was trying to remake the acclaimed motion picture The Untouchables (1987). Nice try. "Squad's" biggest problem lies in the screenplay. The words the actors say don't justify anything that's on screen. The script feels like it was written in a half hour. And what we get for the entire running time (1 hr. 53 minutes) is sparse dialogue between the characters followed by violent shoot-em-up scenes that have virtually no set up and no payoff. Don't get me wrong, the action scenes are well done, but it's hard to care about anyone involved because we don't know much about the the villains or the good guys. And the little we do know, isn't enough leverage to embrace what happens to them. It's sad because the film was directed by Ruben Fleischer. His last two movies (Zombieland in 2009, 30 Minutes or Less in 2011) are ones that I would recommend. He brings a lot of energy to the proceedings. He misses the boat however, on this one because it lacks the character insight and juicy, playful banter between the actors in the two movies just mentioned. The other problem with "Squad," lies in the acting. 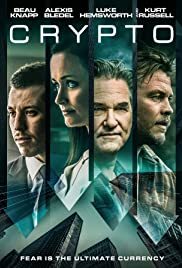 Sean Penn is the only one in the cast that does any of it. His performance is over the top but it's decent. The bad part though, is that it also feels like it it's from another movie, a better movie. All the other actors in the film literally seem like they're going through the motions. Let's face it, they're being lazy. It's as if the director yelled cut and everyone went to their trailers for a nice long nap. These are actors that I like (Ryan Gosling, Josh Brolin, Nick Nolte). Added to this disaster is the casting of Emma Stone as pretty much the only woman in the film. She is Grace Faraday, the so-called love interest. It's obvious that she looks out of place. When you see her all you think of is the other movies she's done. I'm talking teenage films like Superbad (2007) and Easy A (2010). And did anyone else find it creepy that she played Sean Penn's character's girlfriend? Yeah me too. Finally, there is the look of the film. You notice I said "shiny" earlier in this review. I'm serious. If this movie ever made it back to theatres for a reissue (it's probably not gonna happen), you'd find out that "Squad" is so slick and glossy that you could probably see your own reflection on the movie screen. You get the point. It's not necessarily that this film should have never been made, It's just that there was another film like this made earlier and with much better results. I tend to use the term "popcorn flick" a lot in my reviews. The definition of "popcorn flick" is a movie that's good or bad, but not monumental. 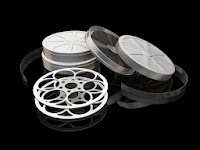 A "popcorn flick" can actually be a good waste of time. Gangster Squad is a bad "popcorn" flick because as a moviegoer, it's more than a waste of your time, it's two hours out of your life you can't get back. Oh, it's a "popcorn flick" all right. It's of the stale, microwave, and burnt kind.